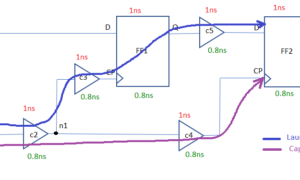 Minimum pulse width checks are done to ensure that width of the clock signal is wide enough for the cell’s internal operations to complete. i.e. to get a stable output you need to ensure that the clock signal at the clock pin of the flop is at least of a certain ‘minimum’ width. If you need a formal definition of the term, it is the interval between the rising edge of the signal crossing 50% of VDD and the falling edge of the signal crossing 50% of VDD. If talking in terms of low signals, it is the the interval between falling edge of the signal crossing 50% of VDD and the rising edge of signal crossing 50% of VDD. 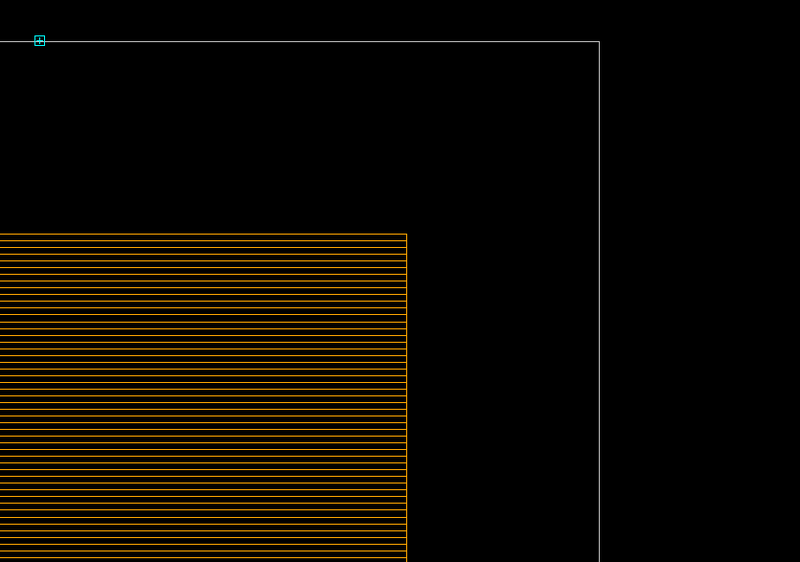 Now you can see how the input pin transition or slew will affect the actual pulse width at any point. 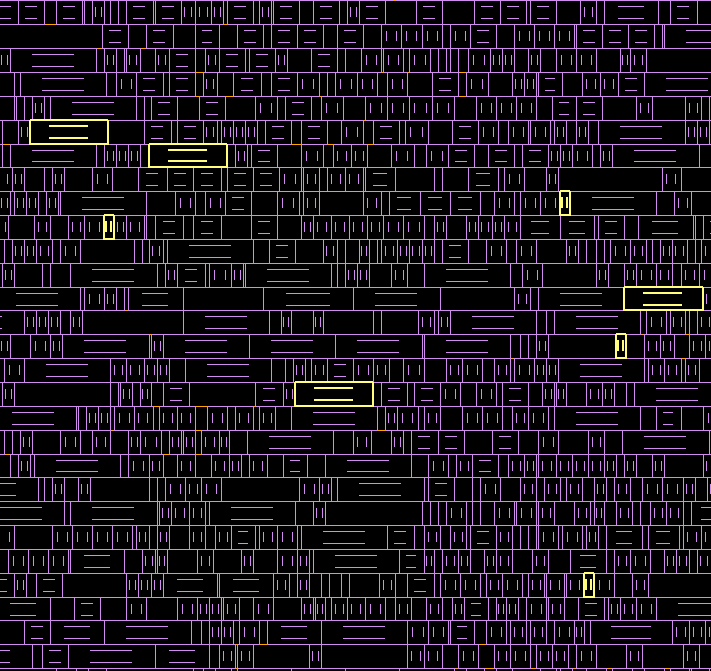 This is the reason why we use special CTS cells instead of regular buffers while creating a clock tree. In this example, the clock period is 6ns with a duty cycle of 50%.i.e. Here, the clock signal at clk_ctrl_reg/CP should be high at least for 0.3202ns (please note that the default time unit is ps in TEMPUS). The actual signal is high for 2.9731ns. Hence there is no minimum pulse width violation at the CP pin for src_clk. Now, let us see how you can specify this constraint for your design. 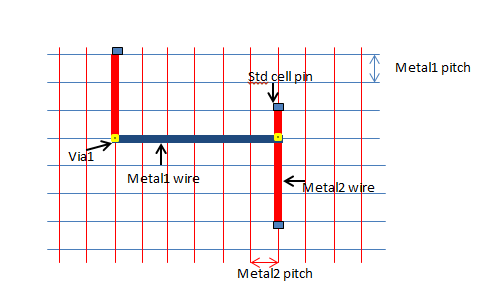 Minimum pulse width depends on the technology node and the standard cell library design. You will have these modeled in your .lib file. Look for timing_type : min_pulse_width; in your liberty file. These will be defined for clock, reset and preset pins of a flop, or the enable pin of a latch. The index_1 is the transition at pin CP, and the last value in the table is the max_transition of the pin. 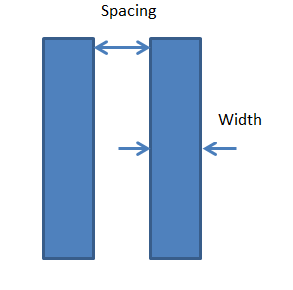 The values denote the minimum pulse width values for the pin transition specified. If neither high now low is specified the constraint applies to both high and low signal levels. You can use in majority of STA tool, report_timing or a similar command. You can also use the command report_min_pulse_width in TEMPUS to report the pulse width values. 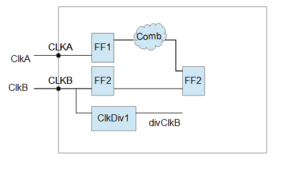 please tell me setup and hold time (.lib values) calculation of flip flop internal with latchs. Thanks for the above information. It would be great if you mention ,How min pulse width violations effect Timing. Could you please give a brief explanation…? Is it possible to only disable width violation for a scope in irun..
What is the difference between sequential_clock_pulse_width and clock_tree_pulse_width ? Thanks for the MPW information, it helps a lot! !